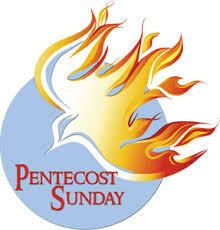 On Pentecost Sunday – 4th June – there will be special Pentecost Praise and Prayer service in the evening at 6:30pm. It will be based on the global prayer initiative ‘Thy Kingdom Come’. Thy Kingdom Come is a global prayer movement, started in 2016 by the Archbishops of Canterbury and York, that invites Christians around the world to pray for more people to come to know Jesus. Their hope is that everyone who participates will deepen their friendship with Jesus, bring others to know Jesus or to know him better, and come to know that every aspect of their life is the stuff of prayer. With this in mind, we’ll spend an hour praising God and praying for His Kingdom to come in us, in those we know and love, and throughout this parish.